Final Fantasy creator and Mistwalker boss plans to unveil a new game in 2017. In an interview with 4Gamer (via DualShockers), Final Fantasy creator and Mistwalker Corporation founder and CEO Hironobu Sakaguchi said that he hopes to reveal his next project in 2017 - unfortunately, no details about what the game may be were shared. Sakaguchi said "I plan to announce a new title in 2017. Stay Tuned!" The Bravely series maker Silicon Studio announced in February that they were teaming up with Mistwalker for a new title, so the announcement could be the official unveiling of that game. 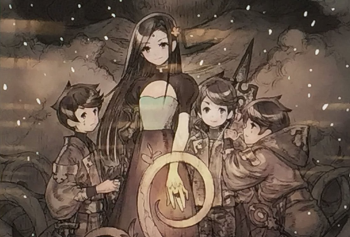 It could also be related to the unannounced Mistwalker title. Either way, we'll keep you updated when more is revealed.